This information will help people already receiving services for mental health, a substance use disorder, or an intellectual or developmental disability transition into Partners’ health plans. Starting on July 1, 2019, Partners will manage Medicaid or state-funded services for intellectual or developmental disabilities, mental health or substance use disorders (IDD/MH/SUD). This means individuals in Rutherford County who currently receive services through Vaya will be enrolled in Partners. 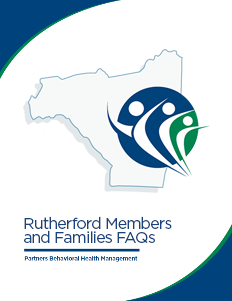 Our team is working closely with DHHS and Rutherford County families, leaders, stakeholders and providers to ensure that individuals receiving services will experience a smooth transition to Partners. We will post all updates for members and families to this page. If you have questions, email or call us.